Peter Stanway’s Marbella Inauguration Exhibition | Marbella Marbella – Adelante! 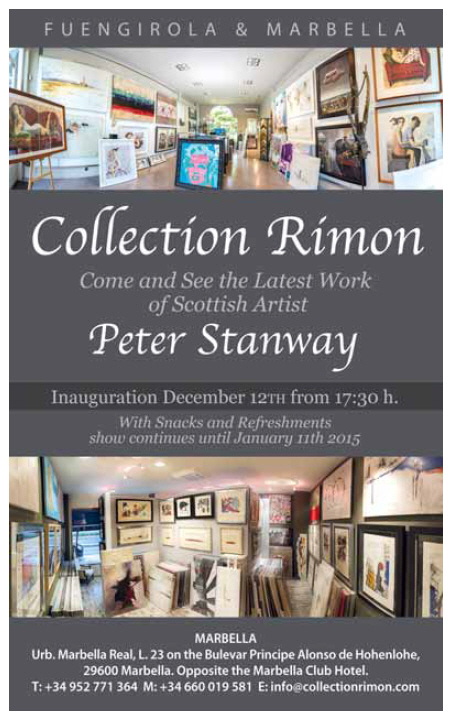 Thank you for the VIPs and friends who came along to the inauguration of the Art Exhibition of Peter Stanway at Collection Rimon on Friday 12th December. The exhibition continues until January 11th, 2015. 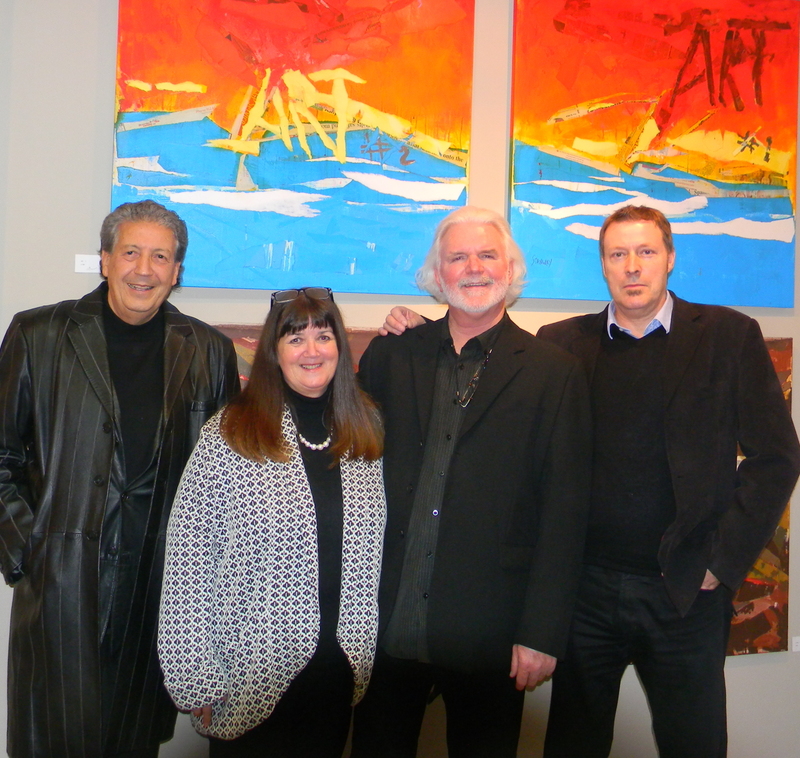 The photograph shows (l-r); Dario Poli (author, artist and composer), Nancy Stanway (Peter’s wife and indispensible helper), Peter Stanway (author and artist) and Iain Blackwell (publisher and director of Essential Magazine). The exhibition of Peter Stanway’s stylyish and passionate art was his first in Marbella and hopefully not the last and was well attended by invited guests and friends of the owner of the Collection Rimon Gallery in Marbella.